The latest version of SPAMfighter Exchange Module adds functionality for adding signatures, also called disclaimers, to outgoing e-mails in Exchange Server 2007, 2010 and 2013. The complexity of doing business today through e-mail is old news. E-mails are so pivotal to a company's success, but email messages sent by their own employees can also be used against them. So many companies are using legal disclaimers to avoid potential legal problems, however, some also use disclaimers for other purposes. Disclaimers for upholding confidentially are often used, but so too are the popular disclaimers for marketing, which create corporate identity or branding. Many of these disclaimers for marketing include virus and spam warnings in outgoing messages to signal that the company addresses e-mail security and scans outgoing mails for spam and virus. SPAMfighter Exchange Module version 5.1.0.6 offers disclaimers that can be added individually or for each user group. For example, each division or each department can have unique HTML disclaimers with unique content, logos and links. Having a centralized and full control over Exchange disclaimers saves the IT administration a lot of time and standardizes disclaimers for professional email communication. In other words, SPAMfighter Exchange Module offers easy and flexible control over corporate email signatures and disclaimers. Disclaimers in SPAMfighter Exchange Module also supports emails sent through Exchange from iPhone or other mobile devices and Outlook Web Access. SPAMfighter Exchange Module version 5.1.0.6 also adds a functionality for testing that the latest MS Exchange fixpacks have been applied to Exchange. Existing or new users of SPAMfighter Exchange Module will have access to this new features free of charge. 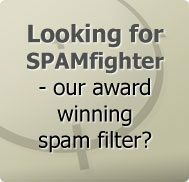 SPAMfighter Exchange Module is avaiable for a 30 day free trial with spamfiltering for Exchange. 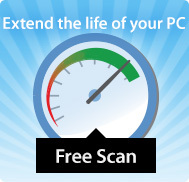 Read more about Free Exchange Disclaimers.